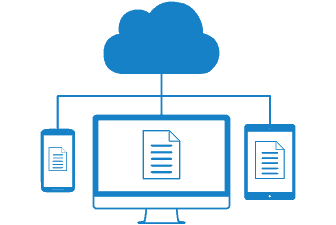 Secure and administrate backup of company computers and cloud services. Backup Multi gives you one central solution to administrate the backup of your company computers. Each users have a personal account while the entire service is charged on one invoice. Users simply choose which files and folders to include and these are accessed just as easily using the Storegate software, or via any browser. In contrast with many traditional backup solutions, Backup Basic gives you access to your files directly if an accident happens – no restoration of archives is necessary. The number of computers to backup and the amount of required storage space is up to you. The service lives and grows along with your users and your business. Backup Multi requires no prior IT-knowledge or expertise. The software is easily installed and then you are up and running. You can schedule the backup based on your needs, storage space and band width – and all data is encrypted using our own algorithm on disc, and using banking standard (TSL) on transmission. Of course, the administrator can choose to activate versioning, and whether backup status and notifications are to be shown from as well clients as server. The most important things in most businesses are staff, customers and data – and the business can’t go on if one is missing. So, there is no good time for business data down time. A backup with us protects you from natural disasters, fire, theft, neglect and blackmail software – and you are quickly back on track if something happens. Our services combine security with swift recuperation and direct access to data when most necessary. With us, you can feel safe. 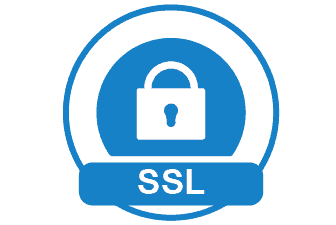 All information is encrypted and stored on double server installations in top security locales. All files are available to you only, and you remain in full ownership of your data. 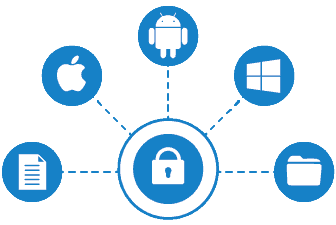 Storegate uses https encrypted login authentication, meaning files, folders, user name and password are encrypted over all protocols. Telia Carrier provides infrastructure for web traffic and access. As a business customer of Storegate you get personal help getting started with the services you need. Using our support portal, you easily find answers to frequently asked questions or get in direct contact with our support staff. “Elected as the best cloud service in Europe for companies” by IDG Techworld. Get started using Backup Multi today!